However, there are many times He answers our prayers just like we requested! Unfortunately sometimes I will catch myself praising God for answering a prayer just as I wanted — more than I praise Him for His answers that may look like this…. But how sweet it is when our prayers are answered and everything works out perfectly! BUT—-We need to remember to Praise Him in all things. 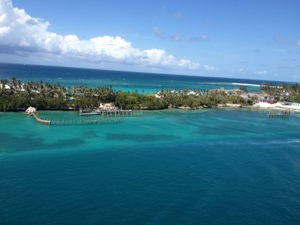 This past weekend while on a Christian Women’s Retreat and Cruise (yes a cruise…very nice!!) I saw God answer prayers in all ways. What was great was the way He answered them!! Denied – one of my personal requests was denied…but as the weekend unfolded I saw that God had a better plan. The retreat was not about me; it was about our new friend, Lynn. Delayed – my girlfriend that went with me had a personal request which was delayed…we can see that it is coming but not just now. Differently – my friend and I prayed for Christian fellowship amongst the women…and He answer was different than we imagined…it was better!! The ladies we shared our meals with were saints of God…it was a privilege to be amongst them. Definitely – we prayed for a spiritual renewal for one of the ladies we met – she accepted Christ on Sunday!! WOW! Praise God!! I heard someone recently say that God does not want us to own our sickness and if we believe with all our hearts that He will heal us; that it will be so. It was implied that our lack of faith and the lack of receiving the blessing was keeping us from our healing. I too believe that God has the power to heal anyone, but that He really does say no at time. I have seen cancers disappear, meningitis miraculously heal overnight, but I have also seen cancer ravage a saintly body. AND just because someone’s prayer is not answered just like they wanted it does not mean that person is less faithful or has a marginal belief. I refuse to be guilted into feeling my faith is the stumbling block for the fact that my prayer is answered differently than I requested. My God knows what is best for me. Paul begged God to remove the thorn in his side, but God said no. Will this keep me from asking? Of course not, for I know that my Father answers my prayers how He knows is best for me. And even when sickness is not healed and death occurs…I see a miracle and an answered prayer…THE RESURRECTION!!! I also refuse to feel guilty if my prayers are not answered in the way in which I wanted…it is not a lack of faith, God is not a genie in a bottle, He is the maker of the universe, He knows what is best for His children. So rejoice in the Lord always…He hears your prayers…watch and listen for His answer…He never ignores you. It’s just that the answer may not look like what you imagined…it will be better, because it is what God planned for you. Engage others ~ Share this post with a friend. Last weekend I was blessed to receive new friendships. Susan, you truly are a gift from God! Thank you for all your prayers, guidance and prayers! Much love. Lynn, it was no mistake we were assigned the same table. What an amazing God we serve!! Liz, God’s hand was definitely in the retreat. I believe He put us all together for His purpose and plan. I continue to see Him working and I can’t wait to see what He has planned for the future. God certainly put us together for a divine appointment!! I will be keeping you in my prayers for a speedy recovery.